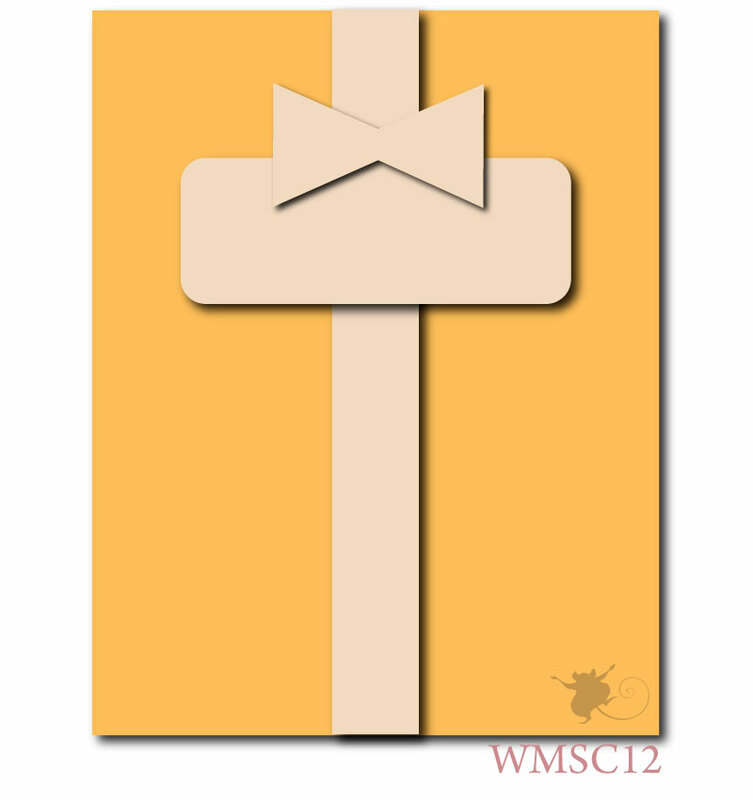 I created this card for the Verve Project Parade to use something old and something new. I used an old sentiment from the Beautiful You set with new images from Dream Big - just released in August. I used the sketch from Mercy Kerin's Tuesday Sketch Challenge. It was quite a hectic night at work...so much to do and so little staff! Not much energy left, so will keep this post short and sweet! 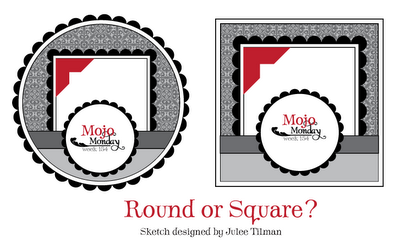 It's the 5th Monday, so that means Julee has a square or round MOJO MONDAY SKETCH for us. 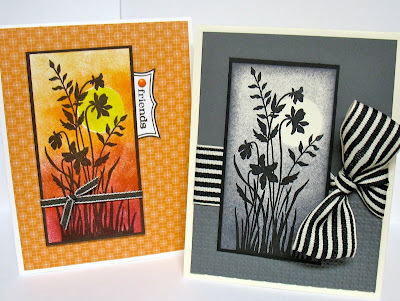 I inked up stamps from 2 new Verve sets released this month. The frame and sentiment were stamped with Early Espresso. 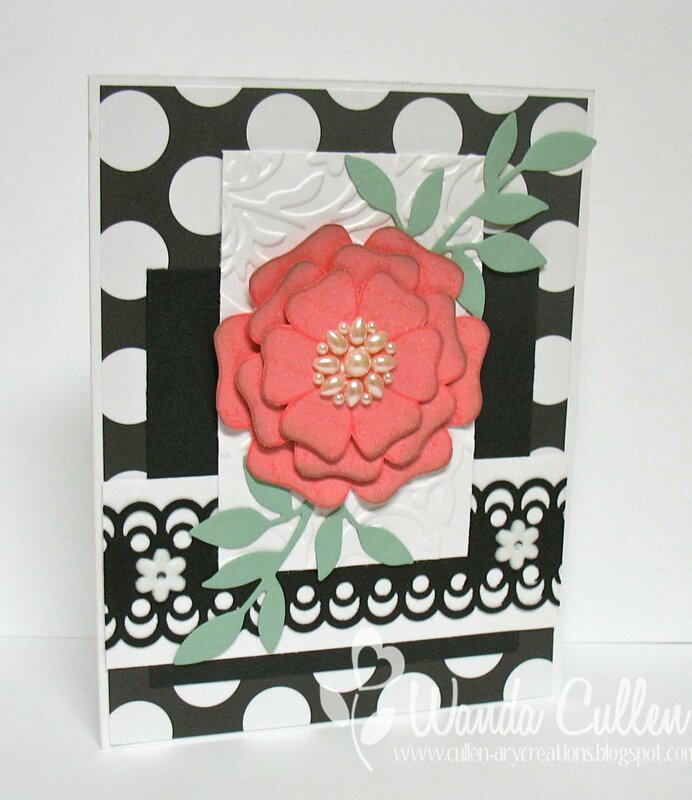 The flower was stamped in Versamark, then embossed with white EP, cut out & popped with dimensionals. Have to make this a quick post...things to do before heading to work. 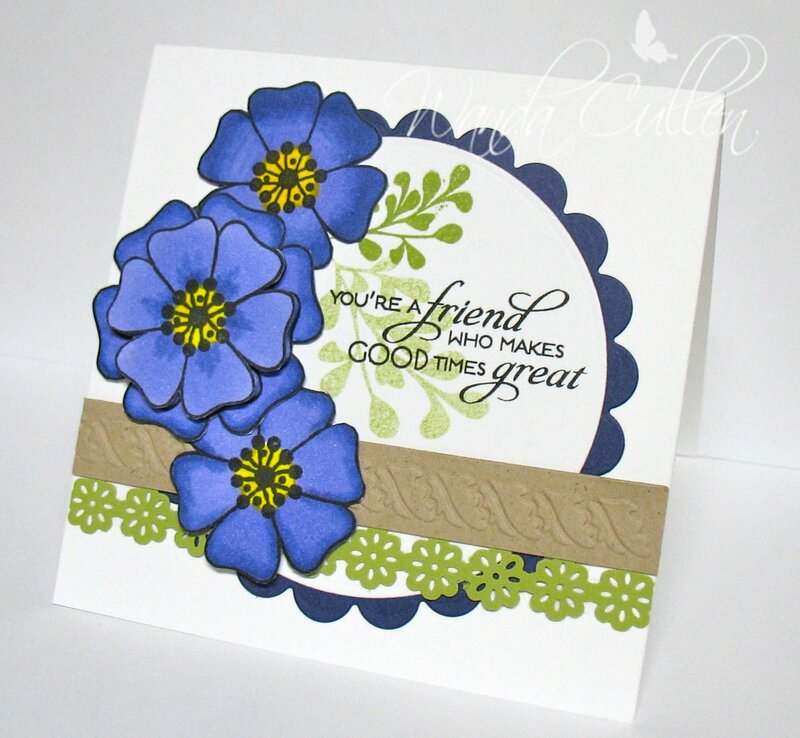 Today's featured stamper is Bobbie's Girl (aka Carol) and she has a great gallery with so many beautiful cards, but I chose to CASE her krafty crescent of flowers that she created HERE. I used Karen Giron's Sweet Sunday Sketch Challenge for my layout and used colors from Stacey's Curtain Call Challenge Act 45 (Pear Pizzazz, Concord Crush, Crumb Cake, White). 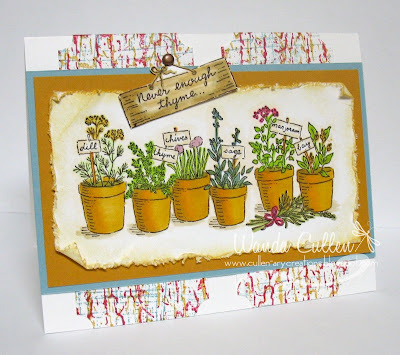 LOVE this new Verve set from Julee's August release...check out all the new goodies at the Verve store. 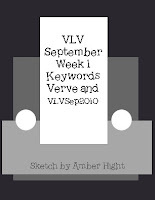 This is the first sketch and room challenge for September on the Viva la Verve contest in the Verve forum. Amber has a great sketch for us and I chose the room with pink/sage/white colors and the large polka dotted chair to inspire my card. 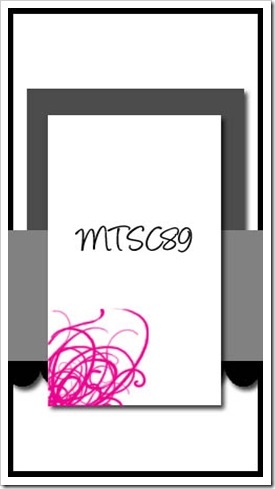 This is one of those "bleh" cards...you know the ones. You start with a great idea and it just doesn't come together well! 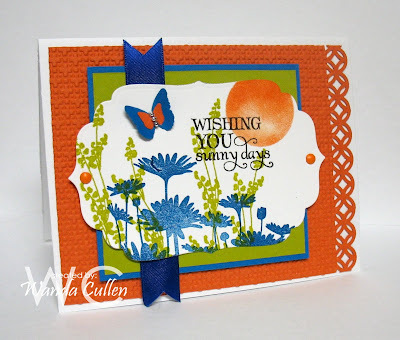 I stamped a script stamp in coral on the flowers, then sprayed with a alcohol/shimmerz mixture and it made the script disappear! 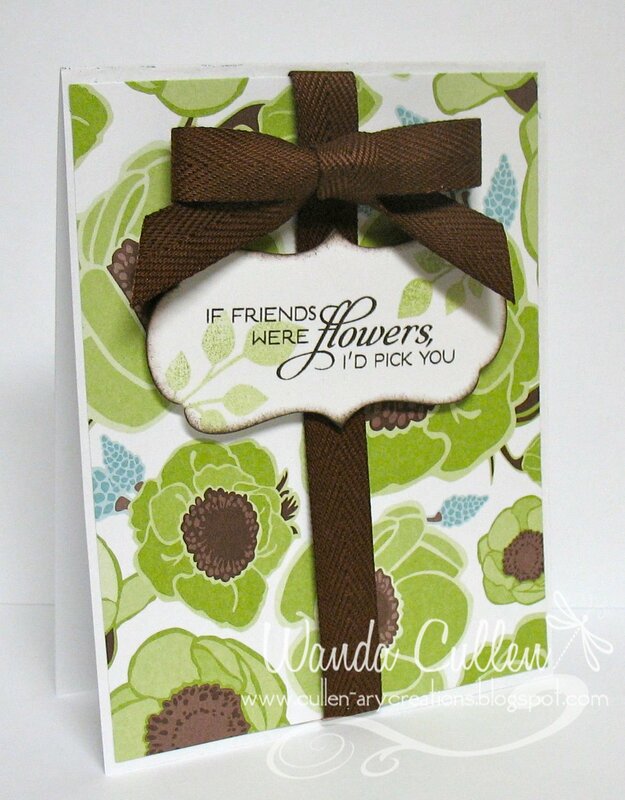 No time to start over, so I just went with a plain flower that has a hint of sheen. It's too busy for my taste, but it's time to head to work soon, so it will stay like it is and get filed in my "unsatisfactory pile" - lol! 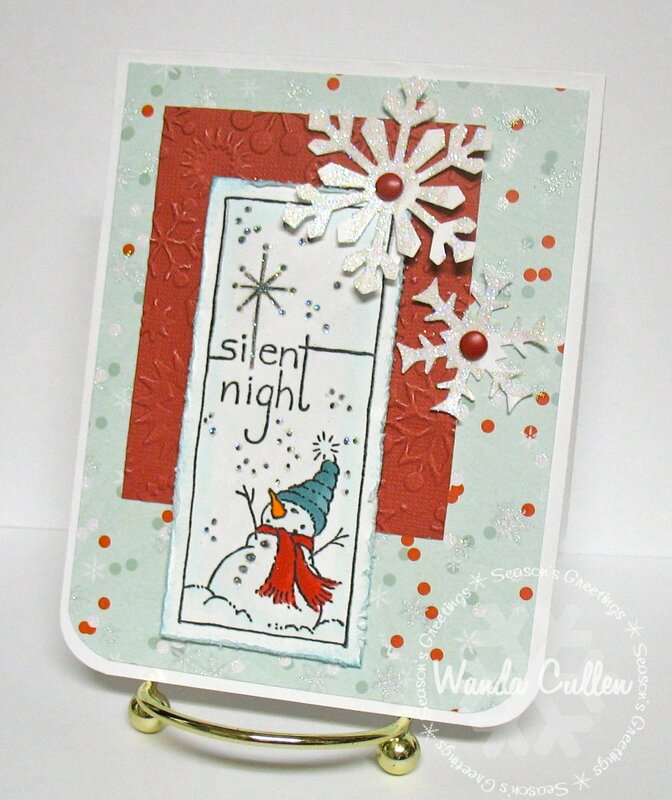 Jeanne S' F4A Challenge on SCS was to 'think snow...man'...with the manly part including some kind of distressing on the card. I distressed the image panel then sponged with Baja Breeze ink after coloring the image with Copics. 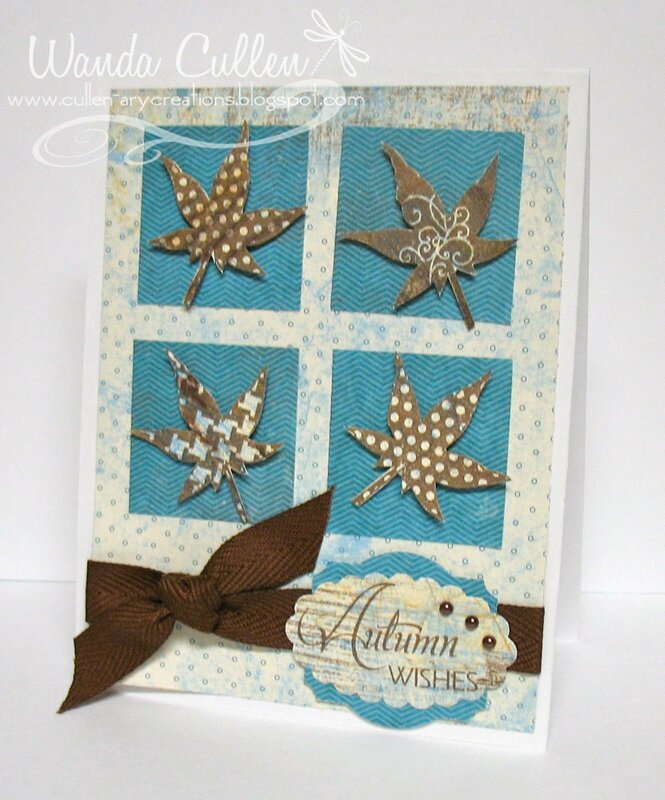 I used a glue pen to add Dazzling Diamonds glitter to all the tiny snowflakes in the image as well as the two punched snowflakes, but the glitz doesn't show up well in my photo. The red panel was CB'd using a snowflake EF. Much as I don't want to think about snow...it's inevitable and will be appearing before we know it! 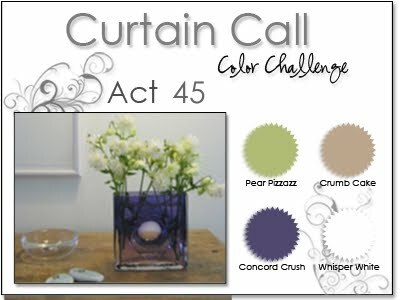 Roxie's Sketch Challenge was combined with the Color Throwdown Challenge to use Pretty in Pink, Rose Red, So Saffron & Pear Pizzazz. 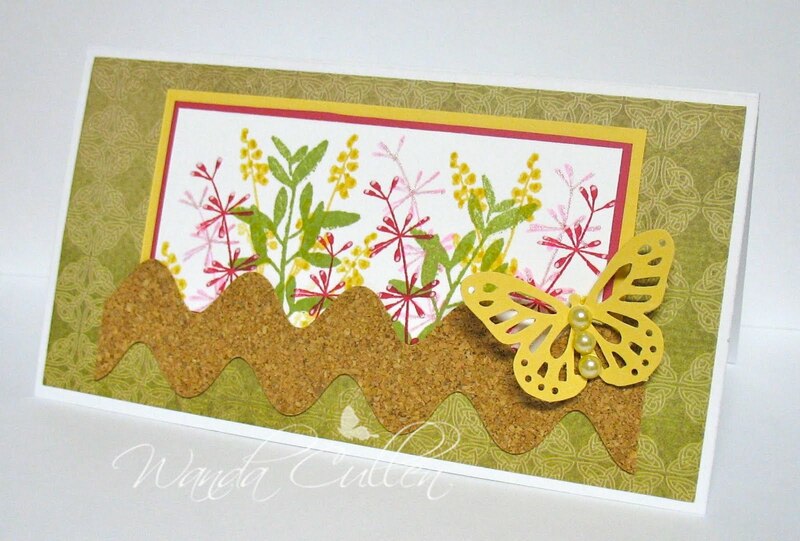 The colors made me think of a flower garden, so I went to PTI's Life set to create a wildflower scene. 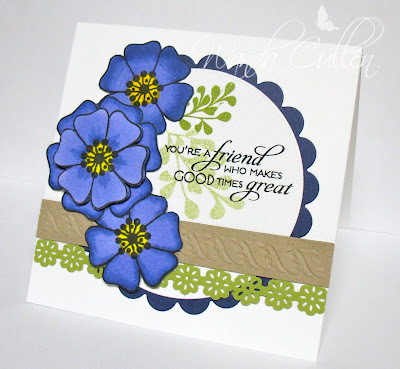 I highlighted the flowers with a gold Spica pen, a clear star Sakura pen & a white gel pen. The jumbo rickrack border is a piece of cork sheet I ran through the CB. 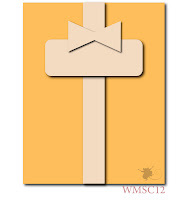 For the circle element of the sketch, I opted to use a butterfly instead. Great Color Challenge on SCS using Pacific Point, Rich Razzleberry & Old Olive. 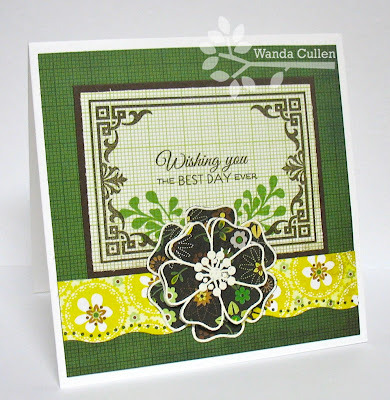 The optional dessert was to use some type of doily on the card - in this case, I used a doily lace border punch. I used Mercy Kerin's layout for her Tuesday Sketch Challenge and actually was happy with the results (considering that it's 1:00 AM). 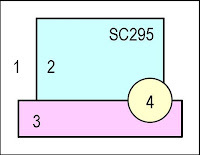 I decided to create a chart of the Copic colors that I felt matched the new SU colors best. In the case of Poppy Parade, I used 2 colors together as 1 just didn't do it. hosted by a dear cyber friend, Mary Marsh. We were to create a card using birds of any season. 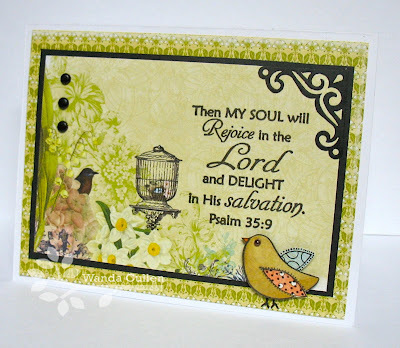 I used some Webster's Pages DP that already had a bird & cage in the design...with the daffodils and lily of the valley flowers, the season has to be spring. 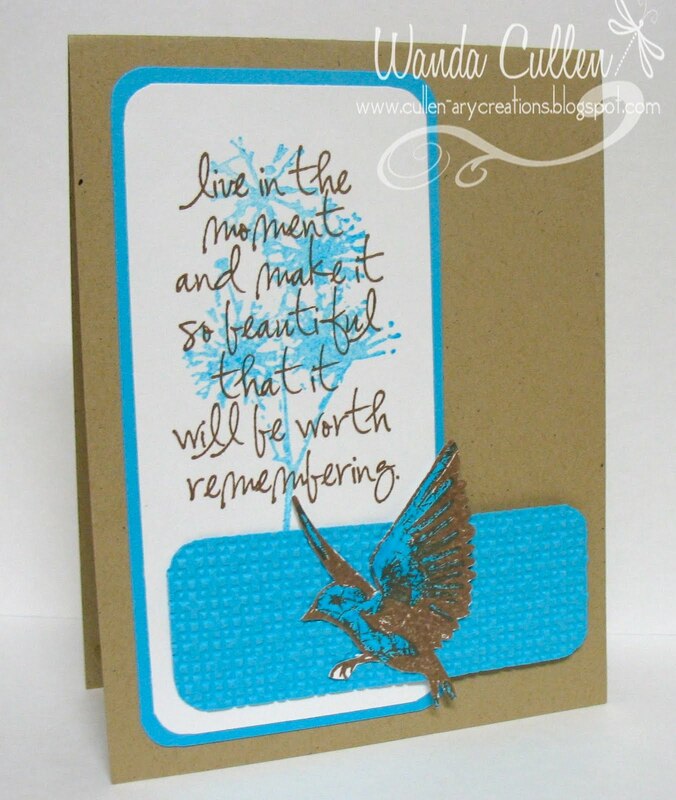 I added a paper-pieced bird that is popped on dimensionals. 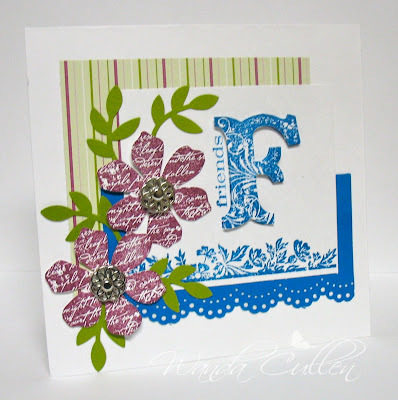 I kept embellishments to a minimum since I didn't want to hide the beautiful paper. 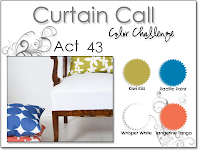 OK...so I'm procrastinating my housework...just had to combine 2 more challenges for a CAS card. I used Karen Giron's Sweet Sunday Sketch Challenge with Jen's CAS Challengeon SCS to use the colors turquoise, kraft & white. 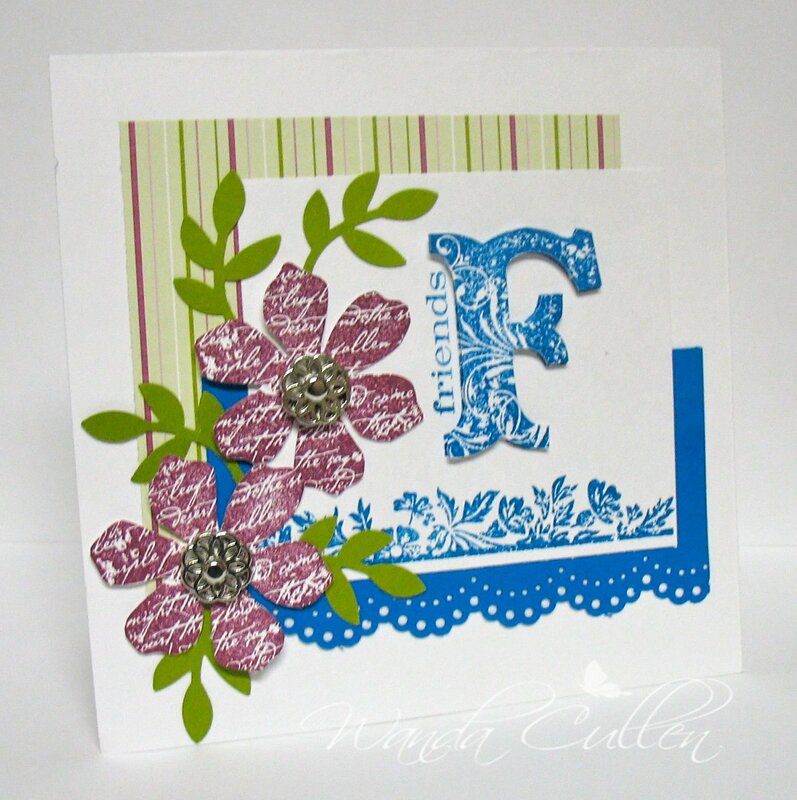 I stamped off once before stamping the BG floral image. 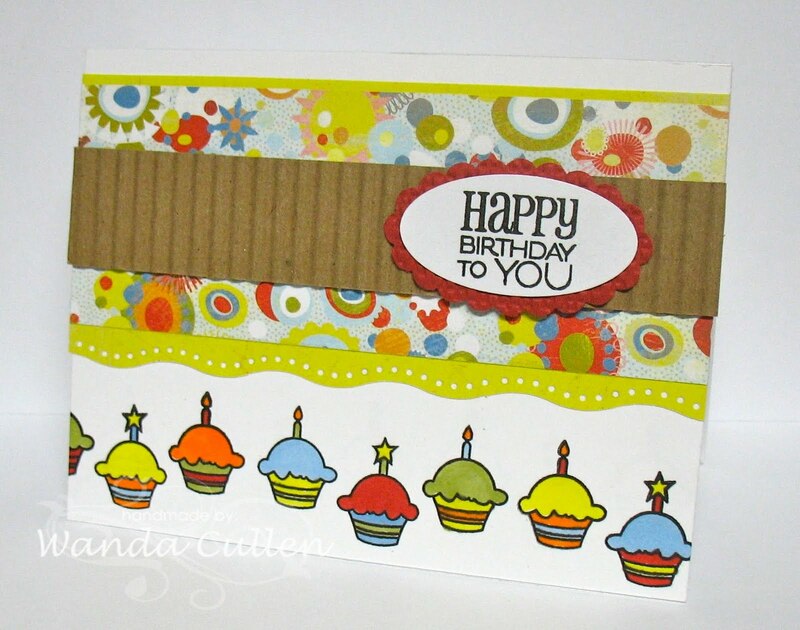 I always seem to struggle with simple cards...others make it look so easy, but I haven't mastered this look yet. 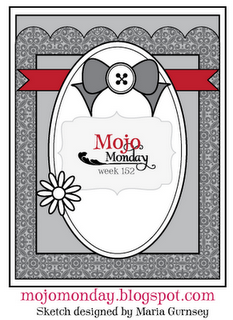 It's Monday so that means it's Mojo Monday Sketch Challenge time. This week Mary Fish has a great layout for us. Autumn is just around the corner, so I pulled this Verve set of awesome leaves, stamped them on DP in brown, cut them out and popped them with dimensionals. 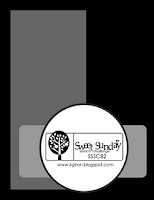 Off to tackle my laundry room and kitchen...thanks for stopping by! 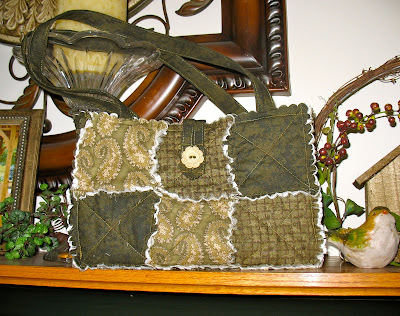 I finally got my first rag quilt purse completed this week and wanted to share with my blog friends. 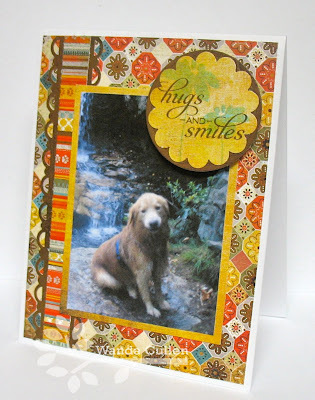 The link to Angie's tutorial is my sidebar called Helpful Tips Links. 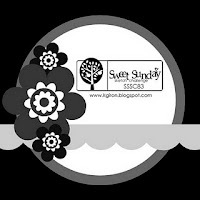 I cut cotton fabric strips (5 inches in width) using a rotary cutter then ran up to 8 thicknesses through my Cuttlebug using SU's large scallop square die. 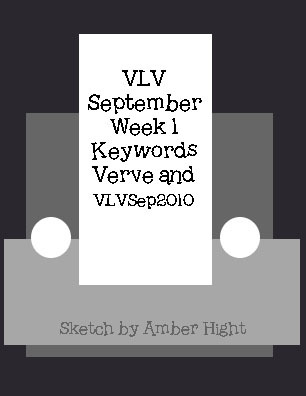 Please refer to Angie's tutorial for more details. I chose to line it using an off white lining fabric which I think helps to delineate the squares more. 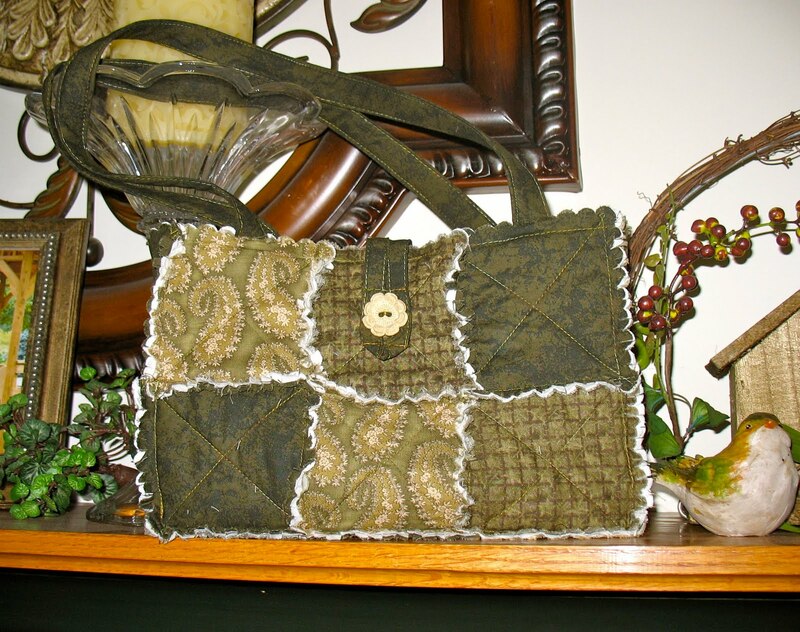 It's so lightweight to carry and would make a nice bazaar or gift item. 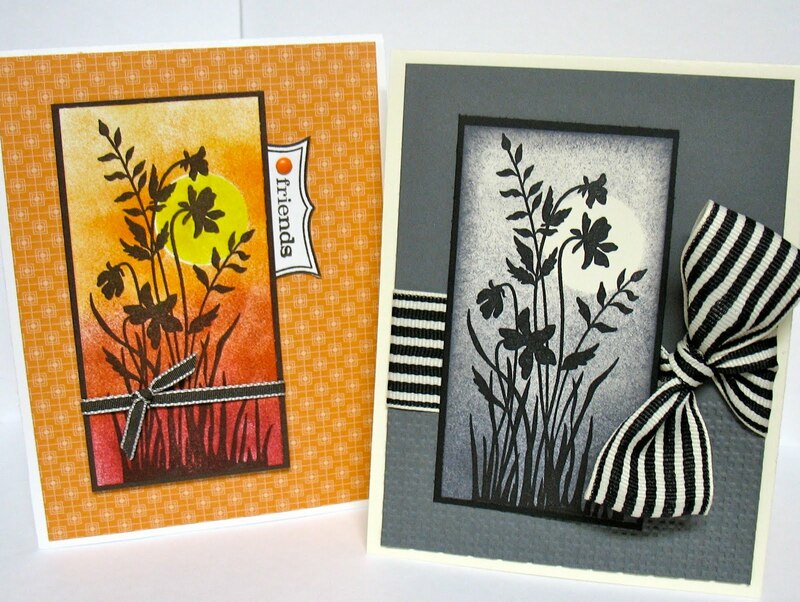 I also wanted to share the 2 cards I created in stamp club this morning...I just love this new set called 'Just Believe'. We masked the sun and sponged around it...great to use a silouette image with this technique! The new narrow taffeta ribbon (mind is Early Espresso) is so easy to work with; the wider striped ribbon gave me more of a challenge to make a bow, but I love it, also! It's work day for me this afternoon, so time to head that direction. Have a wonderful weekend! 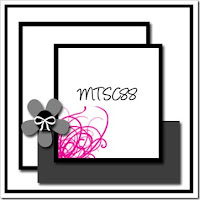 I was thrilled when Stef asked me to make a sample card for her inspiration web site of the week called Pink Taffy Designs. Such a unique site filled with so many gorgeous baby and children's items...a site to enable you to spoil a child or grandchild - lol! I chose this car seat as the inspiration for my simple card. 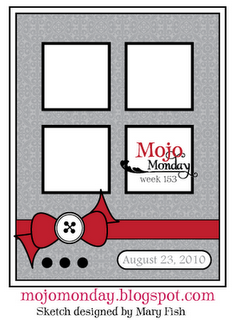 The tag with sentiment was shaped using a corner chomper and a decorative scissors. 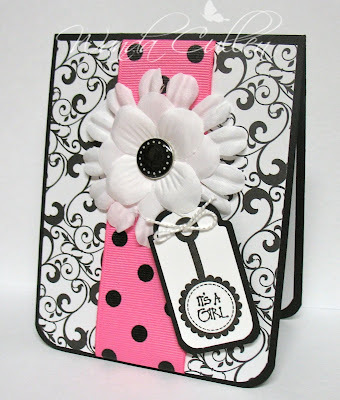 Thanks for stopping by to visit...be sure and check out the other Pink Taffy goodies and play along!